These Rear View Spy Sunglasses let you see EXACTLY what's behind you! 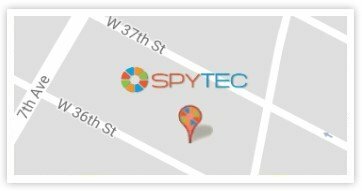 Our Spy Sunglasses are designed for tracking and anti-tracking applications. Instead of following a suspect, the individual wearing these sunglasses can keep an eye on things by walking ahead of the target. They work just like a rearview mirror, so they're perfect for runners and cyclists, too.